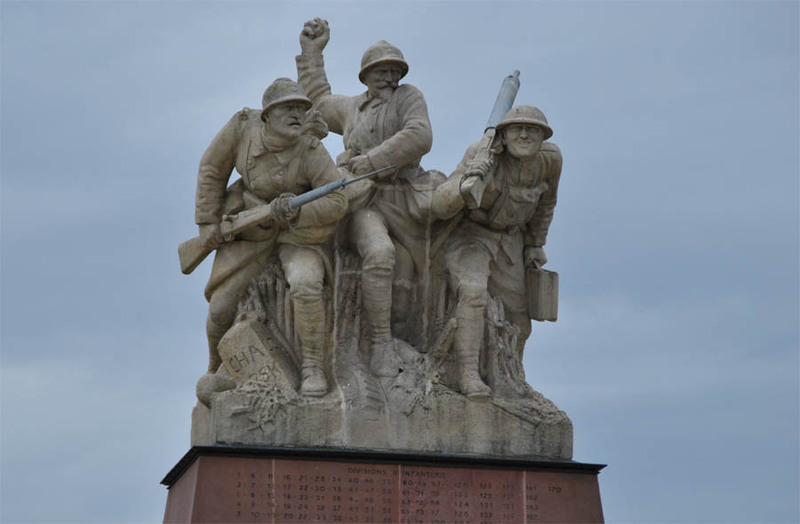 The Navarin Monument is erected in the honour the dead of the 107 French and allied divisions who fought on the front lines of the Champagne region during the First World War. 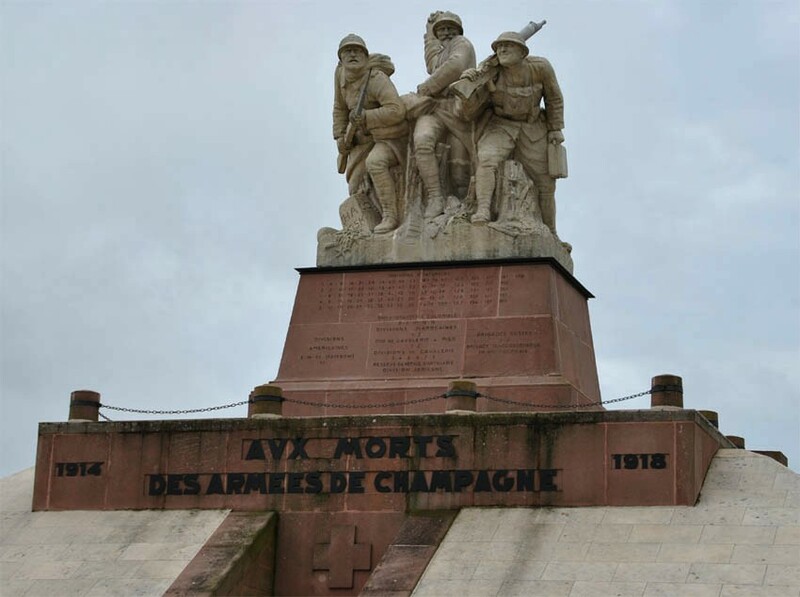 The monument also servers as an ossuary for more than 10,000 bodies. The statue on top of the Navarin Monument - near Suippes. 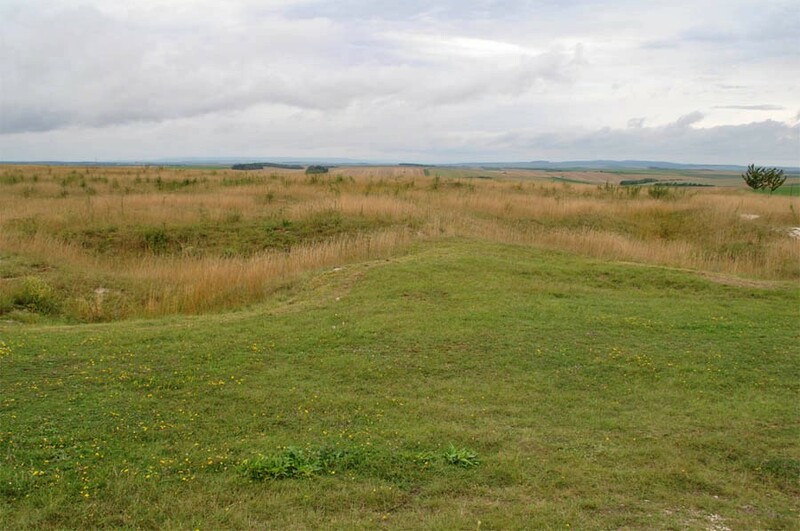 The Navarin Monument - near Suippes - is located at an old World War I battlefield "in the middle of nowhere". 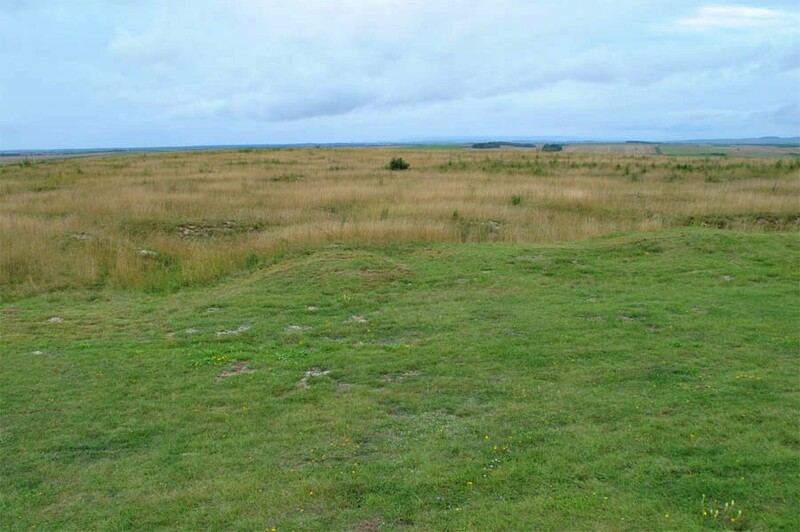 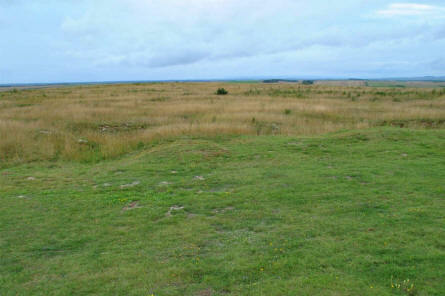 The "scars" from the battle can still be seen in the area. 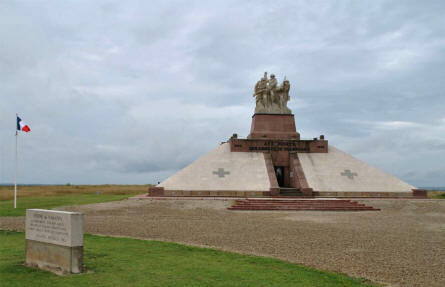 The Navarin Monument - near Suippes. 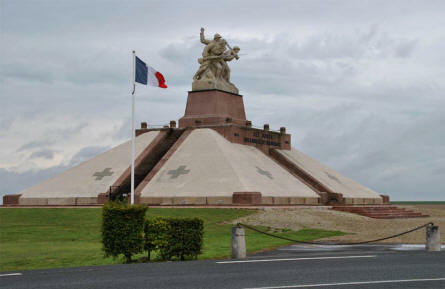 The entrance to the ossuary which is located under the Navarin Monument - near Suippes.